Pop/rock band Fur Patrol first appeared on the NZ recording scene with the EP Starlifter in 1998. The EP got the four-piece some notice, but it was their debut album Pet that really got things going. The striking hit single 'Lydia' was the most played song on NZ radio that year, and the band finished the year with four NZ Music Awards. The almost obligatory shift to Australia followed, with the band's second album Collider being recorded in Melbourne in 2003. The band has gone into recess these days, with singer Julia Deans now working solo. The lead off track from Wellington band Fur Patrol’s debut album Pet (and follow up to their chart topping single ‘Lydia’) sees an unrepentant Julia Deans emphatically despatching someone who has wronged her for the last time. The video — shot in a club on Auckland’s Karangahape Road — sets Deans and bandmates amidst frozen bar patrons who spring to life with the first tempo change. The band responds with an (almost) accomplished dance routine in best boy band style ... nicely undermined by Deans’ rather graceless tumble out of the final pose. Prolific music video director Jonathan King delivers a simple but finely-executed clip with this anthem for the jilted. Although the band act like nothing is wrong and pull off an artful mime, it soon becomes clear that they have no instruments. Shot in extremely narrow focus, singer Julia Deans' sometimes wistful, sometimes sneering performance matches the brooding tone of the song, which topped the Kiwi charts despite initial disinterest from mainstream radio. The clip was shot at Verona Cafe on Auckland's K Road. 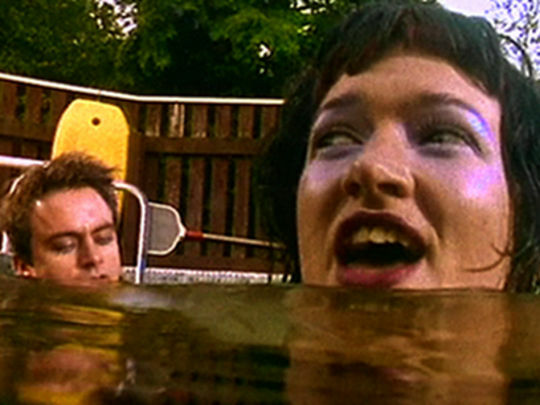 'Lydia' marked the third single from the band's first album Pet. This cascading pop song from Wellington band Fur Patrol’s debut EP Starlifter accompanies an early music video from director Greg Page. Julia Deans and her band mates appear mired in concrete in a suburban swimming pool which begins to fill — but they play on, apparently oblivious to the rising water. The pool was owned by neighbours of Page’s parents in Palmerston North, who were happy to indulge him, but it was Fur Patrol who suffered for Page’s art as they coped with water that was very cold and not especially clean.